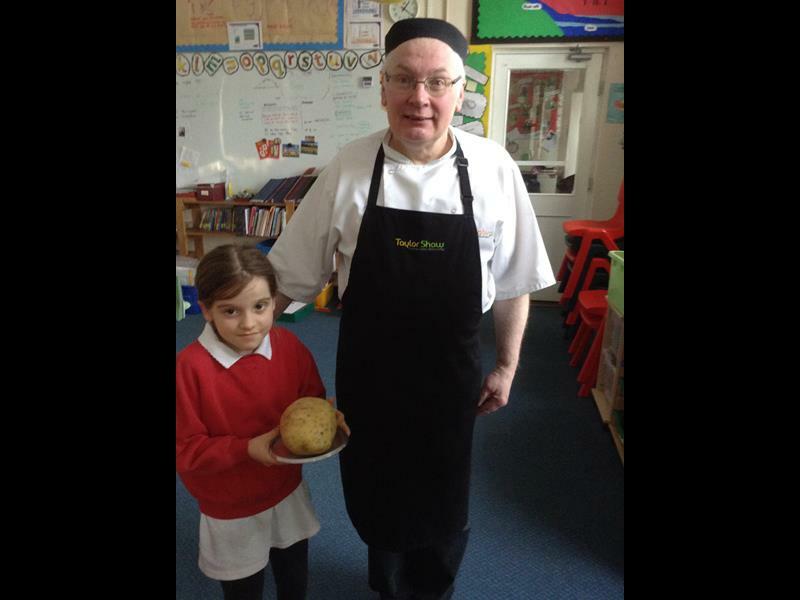 Guess the weight of the potato! 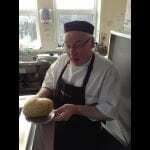 Home / News / Guess the weight of the potato! 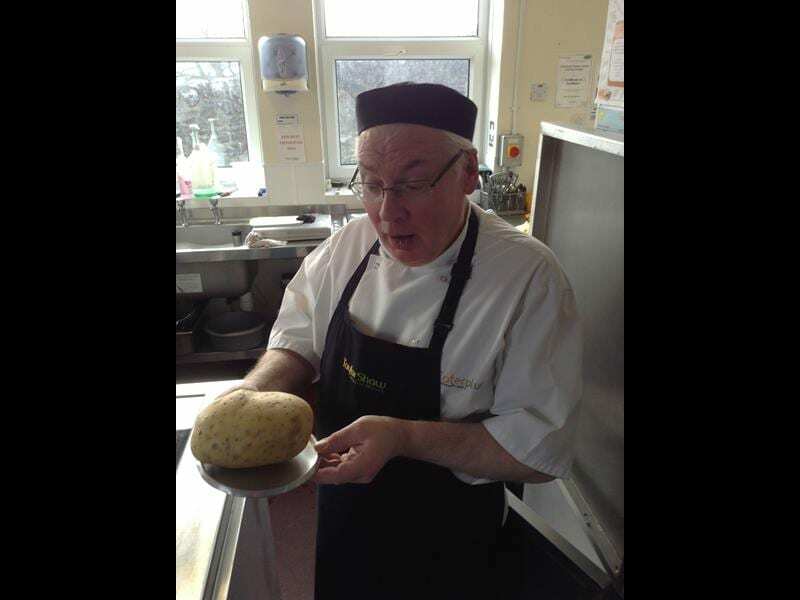 Chef, Derrick, thought it would be a fun idea to have “Guess the weight of the potato” as a welcome to the pupils on Friday 18th January lunchtime whilst waiting in the dinner queue. This then lead onto a conversation about what could be made out of potatoes. 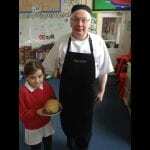 We can reveal that the weight was 940g! !